Ergonomic seating significantly contributes towards a healthy lifestyle especially for those with a sedentary living habit. 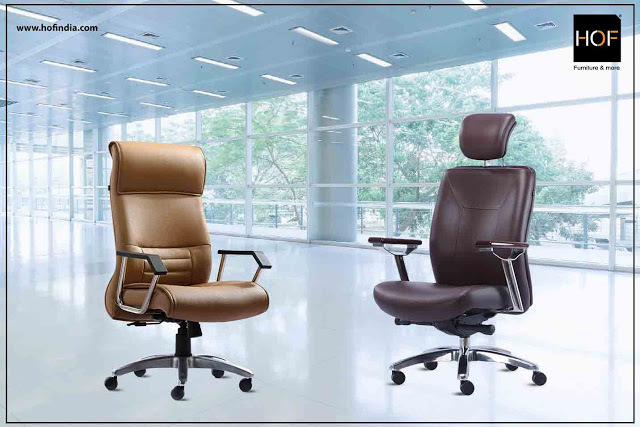 Ergonomically-designed executive chairs help maintain proper posture by keeping the spine erect comfortably through enabled adjustment and other features that include mesh back, varying seat heights, swivel base and many more. Among these standout features, waterfall seat front is crucial in all ergonomically-designed chairs. In a waterfall seat design, the front edges have a rounded waterfall-like edge, curved like a rock smoothened by water and suitable to accommodate people of all body types. Thus, the name ‘Waterfall Seat’ is derived from the unique design of curved contouring of the front edge of the seat. What does a waterfall seat design offer? Waterfall seat design features moulded foam and a rounded front on the seat pan. The seat design slopes slightly downward to relieve the pressure on the back of the thighs and offers increased support and comfort to relieve pressure behind the knees and improve blood circulation to the lower limbs. A waterfall seat contoured construction also enables equal weight distribution across the seat pan and together with a sufficient lumbar support and other ergonomic features, ensures comfort and correct posture. Why does a waterfall seat design hold importance? Multifunction Mechanism: The multifunction mechanism provides a wide range of adjustability because the back and seat can be positioned independently. Having a waterfall design not only enhances comfort by reducing pressure on the limbs but its slight slope also promotes the use of backrest to support the lumbar region and prevents you from sliding down the chair. Our trusted ergonomic chair, the BOSS 421 features a multifunction tilt mechanism. Synchro-Tilt Mechanism: The synchro-tilt mechanism is a common technology in our mid-range ergonomically-designed chairs. In these office chairs, the seat and back are linked and tilt simultaneously, ideally in a fixed ratio of 2:1. In such cases, waterfall design relieves tension in the thighs when reclining. Our ZEBA 542 features the synchro-tilt mechanism. Thus, together with a rounded seat pan, good seat depth and the waterfall design, the edges of a seat gradually curve down which also help reduce stress and pain in the lower back. Transform your office into a high-performance workspace today with ergonomically-designed chairs with waterfall seat design and give your body a strain-free working experience. At HOF, we provide you with a wide variety of premium and executive ergonomic office chairs, choose from your favourites at shop.hofindia.com NOW! « Why an office workout should be on your daily to-do list!